Europe is facing a major dilemma with the radicalization of Mali. Will sending troops there really be a viable solution? Mali is yet another anarchical, deeply divided African state whose continued instability is increasingly posing a security threat to Europe and presenting an international dilemma on intervention. On Thursday, a French-sponsored resolution to send international troops to intervene in Mali was unanimously approved by the oft-divided United Nations Security Council. Under the resolution, 3,300 combat troops will be deployed by a bloc of West African nations to regain the northern part of Mali that fell to radical Islamist groups in April. The European Union will be responsible for training the 5,000 remaining frail Malian forces. France had been hoping for a swifter intervention, but the approved military force may not be operational until September 2013. Mali needs first of all to ensure that there is a clear contact person for international allies. 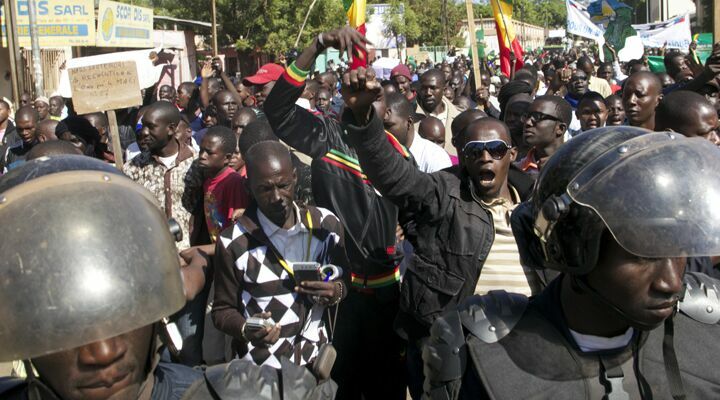 Mali’s coup leaders have continued to meddle in the transitional government that has been set up. On December 10, for example, at around 11 p.m., the military coup leaders arrested interim Prime Minister Modibo Diarra and apparently forced him to resign on national tv about two hours later. The UN resolution is demanding political stability first in Bamako, then transparent elections, perhaps in April 2013, before any intervention. Political dialogue with some of the separatist movements is also a prerequisite. Meanwhile, France fears “the terror cells now occupying Mali’s north will use any delay to further embed themselves in the vast territory, and use it to recruit and train foreign fighters for global jihad,” wrote the Associated Press. Their forces number an estimated 10,000. The whole situation in Mali is complex and dire, and possible scenarios are bleak. Mali is presenting Europe in particular with a serious dilemma, and Europe is taking this seriously. With radical Islam raging in nearby North Africa and the Middle East, Europe will soon be forced to intervene and deal with radical Islam. The United States is bogged down and reluctant to commit troops on the ground in another North African country; the onus is on Europe to deal with Mali. Bible prophecy reveals that Europe is destined to become much more involved in the Middle East, while America is set for a rapid exit. For more information on these prophecies, study The King of the South.